The Canon PowerShot A3000 IS is a 10 megapixel point and shoot camera intended for new photographers, and thus has a relatively limited feature set and an emphasis on presets and automatic printing. As a consequence, its support for add-ons and accessories is limited when compared to SLR or other more detailed camera systems. 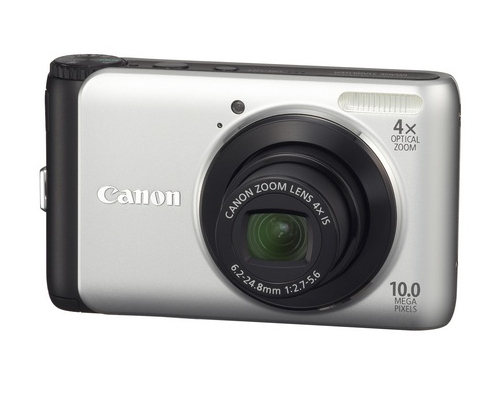 The PowerShot A3000 measures 3.8" by 2.3" by 1.1" and weighs 5.5 ounces, making it quite compact and lightweight. The camera captures images at a resolution of 10 megapixels using a 1/2.3-inch CCD to do so. It includes a 2.7 inch LCD with a resolution of 230000 dots. However, it does not include a viewfinder so as to save space in the product's compact design. The camera includes a lens with 4x zoom, aperture adjustable between 2.7 and 5.6 fstops, and a focal length of 35-140mm. It uses the TTL Autofocus system to focus the contents of the frame and capture clear images. The camera has a shutter speed of 1 - 1/1600 sec to 15 - 1/1600 sec, though shutter speeds differ depending on shooting modes. In Long Shutter, speeds of 15, 13, 10, 8, 6, 5, 4, 3.2, 2.5, 2, 1.6, 1.3, and 1 second are available. The camera sets ISO speed automatically based on the shooting mode selected, and is equivalent to ISO 100/200/400/800/1600 depending on the settings configured. Exposure control is done through AE Lock, and exposure compensation is performed on a scale of +/- 2 stops in 1/3-stop increments. White balance control can be done automatically but can also be set to Daylight, Cloudy, Tungsten, Fluorescent, Fluorescent H, and Custom. The built-in flash offers automatic settings but also red-eye reduction, auto correction for red eye, flash on, flash off, FE lock, slow synchro, shutter sync, and smart flash. The flash range is 12" to 13' (W) to 12" by 16' (T). It also provides a recycling time of 10 seconds or less. Shooting modes built into the camera include P, Auto, Easy, Portrait, Landscape, Night Snapshop, Kids and Pets, Indoor, SCN, and Movie. Auto automatically detects the shooting scene while SCN provides a face detection self-timer, low light, super vivid, poster effect, beach, foliage, snow, fireworks, and long shutter presets. Built-in photo effects include colors of, vivid, neutral, sepia, black and white, and custom adjustment of contrast, sharpness and saturation. The self-time functions on a 10-second delay and a customizable delay of 0-10 seconds for start times and 1-10 shots. Wireless control is unavailable. The camera can shoot up to .8 shots/second. The camera supports storage via SD, SDHC, and SDXC Memory Card as well as MultiMediaCard, MMC Plus, and HC MMC Plus Card. The camera also includes a USB 2.0 interface with unified digital, audio and video support for both NTSC and PAL video signals and support for PictBridge-compatible printers. The camera captures still images in Exif 2.2-compliant JPEGs and movies in AVI format, with mono WAVE audio. Still images range in size from 640 by 480 pixels to 3648 by 2736 pixels depending on how the camera is configured. Video maxes out at 640 by 480 pixels at 30 frames per second. A battery pack and AC adapter kit are included through which one can recharge the printer's battery. The included battery is a lithium ion rechargeable and rated at 230 shots before requiring to be recharged. The battery is not, however, charged in-camera, making the external charger necessary in order to recharge the battery. Many users complain that the camera feels flimsily built, a consequence of Canon's design, which prioritizes image quality over build quality in this entry level model. Accessories include a deluxe soft case, battery packs, AC adapters, external battery chargers, interface cables, AV cables, and a high-power flash with a maximum distance of 23' that can be added to the camera if desired. However, other add-ons, such as lenses and filters, cannot be added to the camera given its extremely small form and point and shoot design.